As part of Curry's #Currysfiresidefiction and their competition to win some amazing kindle and Amazon prizes that can be seen here, I have been asked to write about my favourite book and film I've read and seen this year and I must admit it's been quite tough to pick just two from the amount I've read and seen! 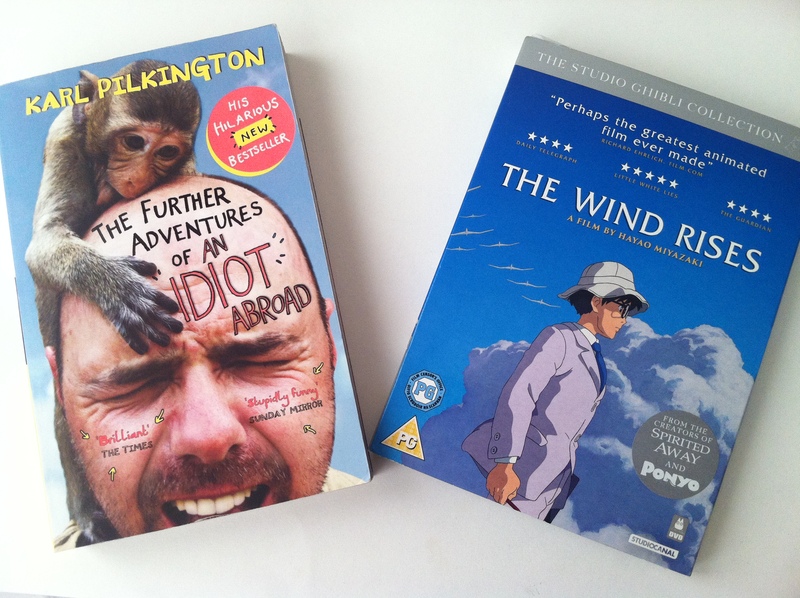 Karl Pilkington for me, is a hero in many ways. The way his mind works and his thought processes come about are definitely remarkable and applaudable, as normal people wouldn't necessarily say what's on their minds, whereas Karl simply doesn't care and does not have a filter. The Further Adventures of An Idiot Abroad is the second book of the series, which I also own and adored reading, and it tells of Karl's adventures around the world with bits you didn't see in the show. Unlike the first book where it followed Karl's travels to the 7 wonders of the world, this book follows Karl as he completes some of his bucket list and his thoughts and feelings along the way. The one thing I absolutely love about Karl's books is that he writes them as he speaks, so as you're reading it you read it in his monotonal voice in your head which adds to the comedy value. Even if you haven't seen the show you can read this book without the need of the TV show because he does go into detail about his travels and it even has polaroid moments to show the readers what he got up to. It;s quite clear while reading it why his next season was called The Moaning of Life, because he is the king in the moaning game. I don't want to spoil any of this for anyone incase you'd like to read it. If you would, you can purchase it from Amazon here! Moving on to my favourite film of the year it has to be The Wind Rises. Allegedly Hayao Miyazaki's last film due to his retirement in 2013 it's a beautifully animated film set in Japan. It was translated and released in the UK in May this year. The film follows Jiro, a man with a dream to be a pilot but due to his eyesight, he is unable to fly and pursue his dream. He admires a famous Italian aeronautical designer Caproni and wishes to follow in his footsteps. He follows his dreams and eventually becomes one of the worlds best aeroplane designer after joining an engineering company. During this time, he becomes friends with Honjo, and falls in love with Nahoko. The film follows his life and these people during troubled times in Japan, including the Great Kanto Earthquake, the horrific tuberculosis pandemic which swept through Japan and the war. Again I don't wish to spoil the film for anyone, so I implore you to watch it. I watched it with someone who does not like anime films or shows and they thoroughly enjoyed it as much as I did. I actually regret not trying to find a cinema with this film being shown and going to see it because it's overwhelming how much work went into the production of this film. It has a great voice cast including Martin Short, Joseph Gordon-Levitt, John Krasinski, and Emily Blunt, which add familiar voices to the film. I cannot stress how fantastic this film is and I urge you to watch it, I was blown away and it's a breathtaking film for Miyazaki's final film. You can also find that on amazon here. What's been your favourite films and books of the year?